​ The recent string of school shootings has inspired school administrators to start taking a closer look at mental illness and the dangers it cause when left unchecked. Mental illness is not static; it progresses with time. We live in an interconnected world; consequently, we do not have the luxury to look at mental illness within a vacuum or as being a personal issue. Instead, the way that mental illness affects communities must be addressed. Colleges are especially important to look at since most mental disorders manifest themselves during this stressful period of time. 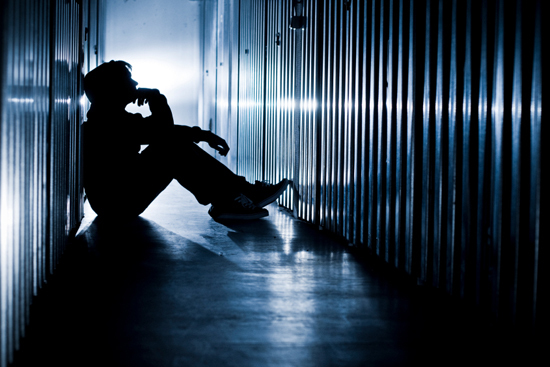 One of the most common ailments that affect the college population is depression. Depression differs from the typical one to two days blues and instead stretches for weeks and even years of time. “30 percent of college students reported feeling ‘so depressed that it was difficult to function,’’ according to a study by the National Institute of Mental Health. The American Freshman: National Norms survey of over 200,000 college students indicates that mental health in colleges is at its lowest point since the organization began obtaining data over 25 years ago. This is especially troubling because the long term consequences of early onset depression are more severe than those of late-onset depression. Early onset depression can halt developmental changes from occurring leading to underdevelopment in all areas of life. Over fifty percent of those who suffer one lapse of depression will suffer another one and the chances of developing chronic depression increases with each episode. Early onset depression is a predictor of other potentially more serious mental disorders developing somewhere down the line. The fact that depression is common amongst college students seems paradoxical when looking at depression as an illness that derives from sadness due to social triggers such as loneliness, after all colleges are filled with peers. However, the paradox is actually a result of the misinterpretation of the nature of depression. While mental health problems are often triggered by external factors, their persistence comes from a change in brain activity. This change in brain activity persists even when the external factors that triggered the depression are removed. While predispositions to depression are often genetic there are ways to prevent the likelihood of developing depression and the slew of mental disorders that can result from it. One is the maintenance of one’s overall health through diet and regular exercise. Exposure to sunlight can also help ward off depression. Depression rates are highest in countries with shorter sunlight hours. Many depressive states actually come from magnesium deficiency. A diet high in magnesium is not only shown to prevent the onset of depression but actually reverse its effects once it has begun. Avoiding stressful situations is one of the best ways to prevent the onset of depression and other mental disorders.